Designtech Studio was established in a response to the growing needs of clients requiring a boutique architectural service delivering high quality homes and luxurious additions. 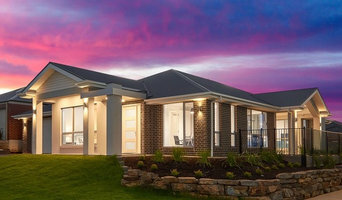 We bring more than fifteen years industry experience designing some of Adelaide's finest homes, coupled with a passion for creating luxury high-end residential housing and providing a service that consistently exceeds the expectations of his clients, Designtech Studio is the right choice to meet your needs. Bringing the best of the South Australian building and design industry together, Designtech Studio is well equipped to design your new home or addition at a competitive price while maintaining the highest level of care and attention. Each design is a personalized 3D design services with a focus on client satisfaction. We believe in listening to our clients and accommodating all of their needs into our custom designs to provide a holistic energy efficient solution. 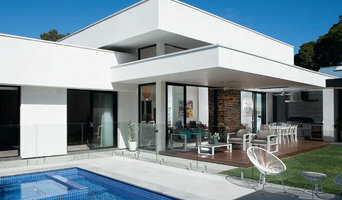 Design and build - custom homes - fixed packages, extensions and renovations. 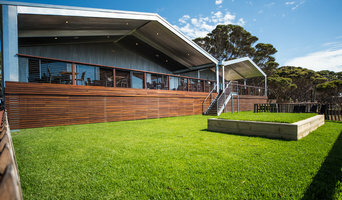 Aspex Building Designers is a well established building design company with over 25 years experience. We are personalized and can offer initial advise and feasibility through to leading edge design, drafting and interior design within both the residential and commercial sectors. We can cater for any of your needs. Keirro - Specialising in architectural visualisation, from 3D rendering to full interactive 3D virtual reality walk throughs. 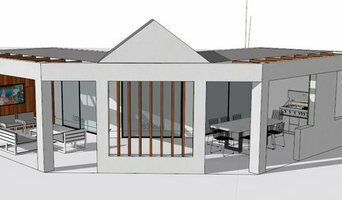 We can also provide architectural drafting to bring your 2D designs to 3D, or we can use a previously created 3D model. Flexible, experienced and innovative – Solution for Construction works with you to match your needs with the optimal solution and delivery of services. Whether we become an extension of your existing staff to assist with managing a big construction project or your engineer buddy to discover new opportunities to reduce costs, we provide targeted services and support when they are needed most. The opportunities to increase efficiency, reduce costs and risk, and enhance the capabilities of a new or existing facility go far beyond its construction. Our Consulting Services teams offer a breadth of skills and knowledge unmatched in the industry. The result is a suite of resources that can be brought to bear in an independent consulting role or as a fully integrated element of Solution for Construction’s construction management services. Deverson Design was founded in 2011 with the vision of bringing superior design and expert craftsmanship to private, exclusive garages throughout Australia and the world. With the aim of servicing the growing need of collectors and refining the environments in which they house their expanding collections. Our service is available to clients around the world, there are no limits to our service or to the lengths we will go for our clients. Hendre is an experienced building design and drafting business with a passion for building design and a firm belief that quality and affordability should accompany that passion, and we are committed to just that. Located in the southern suburbs of Adelaide we provide design and drafting services for all aspects of residential, commercial and industrial building projects, as well as drafting services for real estate and telecommunication companies. With a focus on customer service and offering quality and innovative design solutions that are cost effective and environmentally friendly, we are keen to ensure that your building project or dream comes to reality. With over 10 years experience in a wide range of building design, 2D and 3D drafting, photography and montages we are sure that whatever your building or drafting needs we can help you. Design Vision Consulting provides a one stop shop for your individual project. Starting from the conceptual design stage through to your full development approval then on to selecting a builder and beyond, we take the headache and red tape away so you can focus on the enjoyable part of getting excited about the design and decorating of your new home. We work closely with you throughout the design stage to ensure that you are happy with your home which is designed specifically with your site and your lifestyle in mind. Enabling clients to visualise their home design dreams in an interactive concept display. See your vision come to life through 3D fly around video's, interior walk around visual experience and 360 degree views. Or Virtual Reality for the best of all. Discover interior and exterior design outcomes that can be achieved without the expense of an architectural service. Take your home concept to a builder or drafting service to complete your dream. 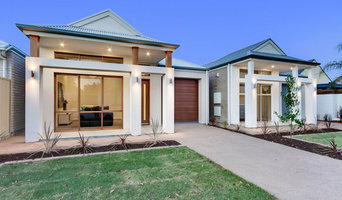 As with all other professional services for home design and renovation, the best way to choose a building designer in Adelaide, SA, AU is to asses their past work against the style and requirements you have for your individual project. How does a building designer differ from an architect? The role of building designers has evolved from traditional drafting services to building design that takes into account your lifestyle, budget and site condition. Building designers in Adelaide, SA, AU also often work with contractors to ensure that structural elements are in line with desired aesthetics. It’s hard to draw a line between building designers and architects – both design homes and offer similar services. However, the main difference is that a building designer, in most states, isn’t required to register or licence with a regulatory figure. The work of a building designer usually begins by interpreting your requirements into a sketched floor plan. Once agreed upon, the designer then moves on to the drafting and documentation stage, whereby drawings are submitted to council for approval. Some building designers also take care of contract management – that is, hiring builders, managing materials and labour costs, and advising you about any local council by-laws that may concern your project. How do I find the right building designer for my home design project? Most states don’t have specific registration processes for building designers, so it’s best that your search is based on past work and referrals. Some industry bodies or professional associations, such as the Building Designers Association of Victoria (BDAV), offer a list of members, which you can check against bodies such as the Victorian Building Authority (VBA), to gauge their type of work and any registration numbers. For instance, the VBA will provide you with draftsmen or draftspersons options within building design work for architectural, interior or general design services. Once you have a shortlist of building designers in Adelaide, SA, AU, engage in face-to-face talks about your brief, to ensure you’re on the same page. To get the most value for your money, you want someone who understands you, agrees with your ideas – in relation to sustainable design, space and function – and has the qualifications and enthusiasm to translate ideas to paper and into a reality. Have you completed any projects similar to my brief? Find a building designer on Houzz. Look through Photos of house designs to find projects similar to your brief. Then, click through to the professional responsible for your favourite picks, browse their latest projects and read reviews. Once you’ve created a shortlist of Adelaide, SA, AU building designers, strike up a conversation with each one and you’ll be one step closer to the house of your dreams!